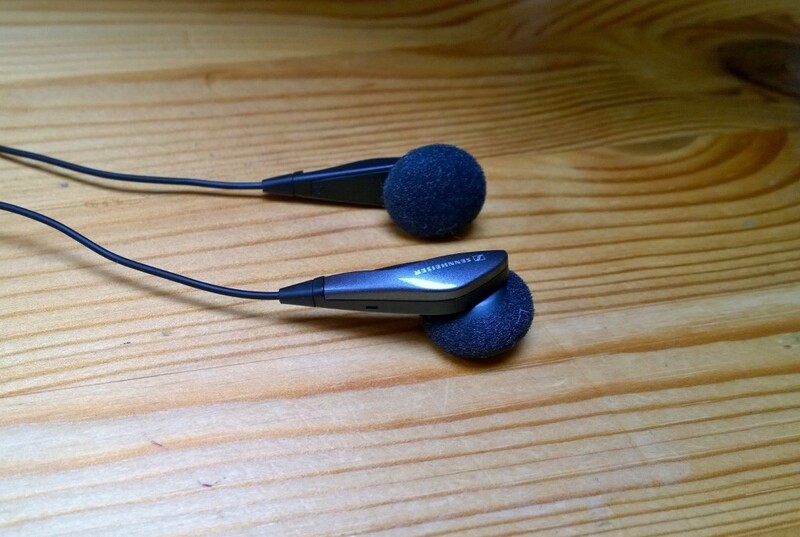 I bought the Sennheiser MX 375 In-Ear Headphones in black because the earphones supplied with my Windows Phone were of pretty lacklustre quality, as is the case with most bundled accessories that come with cellphones these days. The sound was distorted, and the ‘trumpet’s bell’ design has never been to my taste as I find that they fall out a lot, and I have to fiddle with them constantly to make them stay in a position that gives me optimum sound quality. In addition, back when I owned Apple earphones, my father bought me a pair of Sennheiser earphones and I couldn’t believe the improvement in sound quality and comfort. I think they lasted me about five years before they broke, and I used them almost every day! Therefore, Sennheiser seemed the obvious choice for me, and, at just £14.99, it was definitely worth taking the risk. The Sennheiser MX 375 In-Ear Headphones are sold in a plastic box, whilst this packaging can be difficult to open, I do acknowledge that it is probably the best option for ensuring that the product is hygienic and hasn’t been worn by anybody whilst they were on display or before they were shipped out. The Sennheiser MX 375 were so well secured that I struggled to get them out myself, but I suppose it’s reassuring to know that they definitely wouldn’t get damaged in transit. The packaging clearly tells us that the Sennheiser MX 375 In-Ear Headphones are made for MP3, iPad, iPod, iPhone and portable media players. The website tells us that the Sennheiser MX 375 are made in either Germany (where Sennheiser originates from) or Ireland. The Sennheiser MX 375 In-Ear Headphones are made from a matte black plastic and have strips of shiny, smooth silver plastic down the back of the headphone ‘arms’. They look simple yet stylish. They are so comfortable to wear that the first time I wore them, I had to double check I’d actually put them in properly because I couldn’t really feel them! 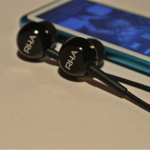 This is great for this type of in-ear headphones as some brands do tend to make ears sore after a while. However, at a 1.7cm diameter, some people may find these rather large compared to the earphone diameters of other brands, and especially those with a ‘trumpet’s bell’ design. The Sennheiser MX 375 In-Ear Headphones come with a 2-year warranty, so you can expect the hardware to last at least that long. As I said before, my previous pair of Sennheiser lasted approximately 5 years with usage every day. 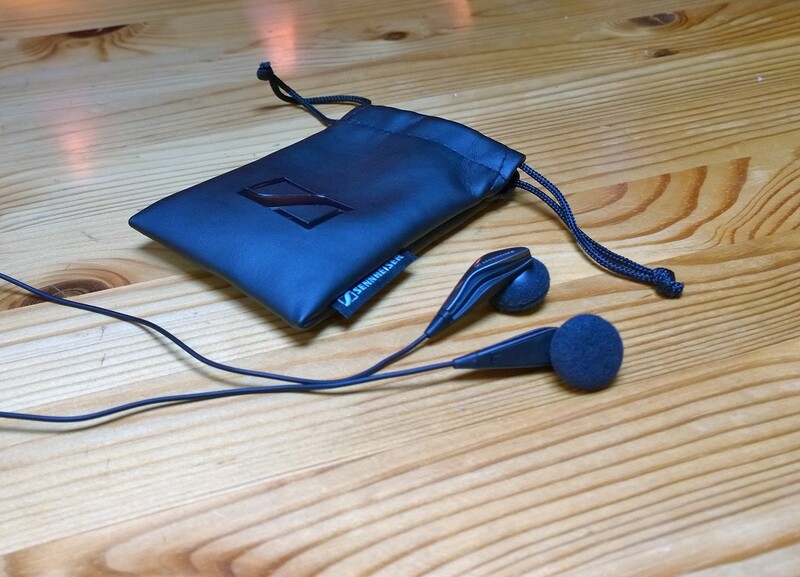 The Sennheiser MX 375 In-Ear Headphones came with a very stylish black matte faux-leather drawstring pouch, which I absolutely love. The inside of the pouch is a soft, synthetic material. 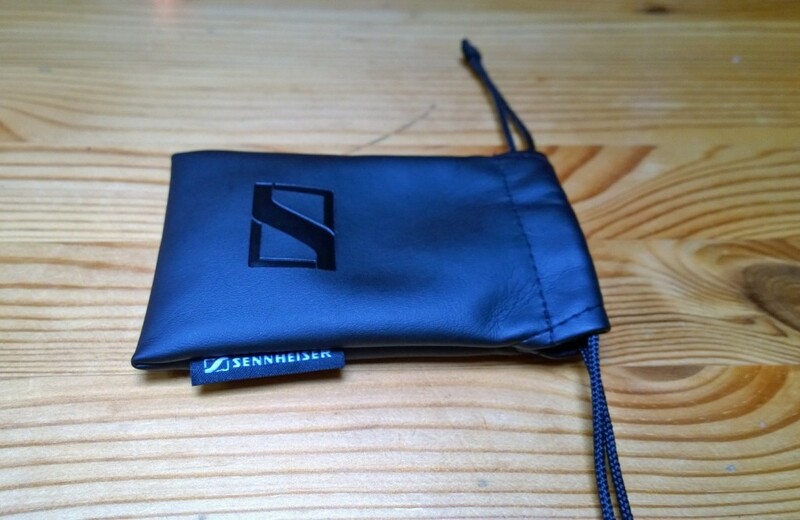 The pouch proudly displays the Sennheiser logo on the front in shiny faux leather and has a Sennheiser branded tag stitched on the side. If I’m really going to split hairs, the resilient exterior material means that the black cord drawstring struggles to pucker the top of the pouch together fully. Even so, I think the chance of the headphones worming their way out of the pouch is virtually nil. The Sennheiser MX 375 In-Ear Headphones also come with 2 foam earpads, which further improve the comfort. The earpads took me approximately 5 minutes to put on. Although this seemed like a long struggle just to put some earpads on, it reassured me that they wouldn’t fall off either in my bag or in my ears! As these are what amounts to a budget pair of earphones, the cable is of course non-detachable, but at £14.99 you wouldn’t be heartbroken when they eventually wear out at that low of a price. The MX 375 aren’t quite audiophile quality, finding a solid set of audiophile headphones can be a really tough feat. The Sennheiser MX 375 In-Ear Headphones have a frequency response of 18-22000 Hz, a sound pressure level of 122dB and a total harmonic distortion of less than 1%. The jack connector size is 3.5mm and the Y-cable is 1.2m. The Sennheiser MX 375 In-Ear headphones have great clarity. The quality of the bass seems to be a selling point for the Sennheiser MX 375’s, and the box instructs the consumer to ‘Crank The Bass!’. The bass is loud whilst not being overbearing, they’re very punchy and clean, and when I turned the sound up to full, there was virtually no distortion on the mids and trebles. NB. It is not recommended that you turn music up to its full volume, as it can damage your hearing as well as your equipment. I think my favourite aspect of the Sennheiser MX 375 In-Ear Headphones is that they highlighted subtleties in the music, and picked up on instruments and other sounds in the background that I was unable to hear with the standard headphones, even in songs that I know like the back of my hand. In addition, there was no burn-in required. However, one weakness of the Sennheiser MX 375 In-Ear Headphones is that there is a notable amount of sound leakage which I noticed when my partner, Dan, was testing them out, and I could even make out all the song lyrics. The Sennheiser MX 375 In-Ear Headphones are suitable for everyday use rather than just being good for sitting around in your living room. I listen to my music mainly whilst walking. They do not cancel out the sounds of the surrounding environment, which I think is much better for safety reasons whilst walking, especially if it’s dark. Much to my delight, there is no ‘windy’ sound if the cable brushes against your clothes. The Sennheiser MX 375 In-Ear Headphones do not have any in-line controls or microphone, but I think, at the price of £14.99, that is to be expected. You can buy the Sennheiser MX 375 In-Ear Headphones directly from the Sennheiser online store for £14.99 or from Amazon for £9.99. For £14.99 or £9.99, I think the Sennheiser MX 375 In-Ear Headphones are fantastic value for money as the sound is great and they are comfortable and stylish. Of course, you can buy far higher quality earphones and headphones than these, but at a pretty substantial price jump, there’s precious little else in this price bracket to compete with the Sennheiser MX 375 In-Ear Headphones. 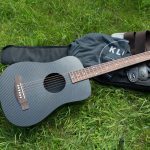 On future models, I would hope that Sennheiser might reduce the issue of sound leakage, as this could be annoying to people around you if you’re on public transport. All in all, if you’re looking for a solid pair of earphones at a budget-friendly price point then you can’t go wrong with the Sennheiser MX 375 In-Ear Headphones. Alice is a blogger and copywriter with a passion for wellbeing and natural beauty. You can often find her crafting bits and bobs, or curled up in a cosy chair with a good book.